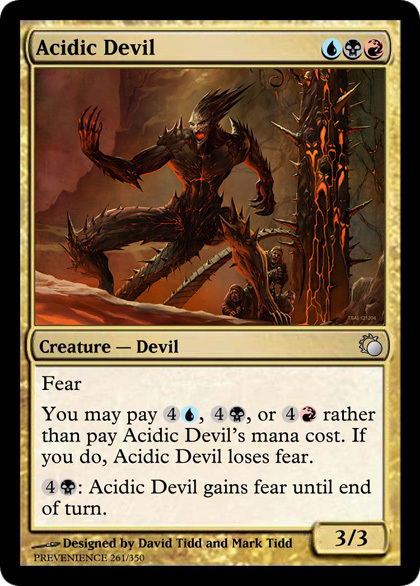 You may pay , , or rather than pay Acidic Devil’s mana cost. 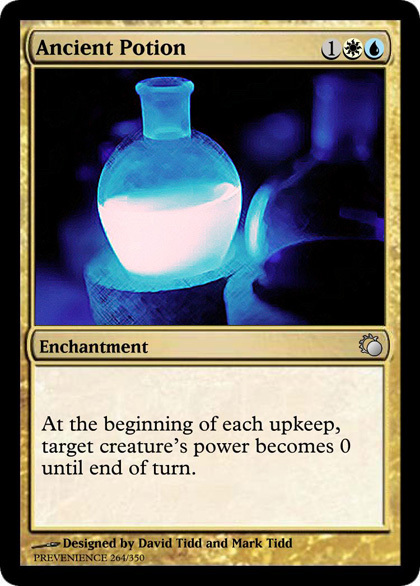 If you do, Acidic Devil loses fear. 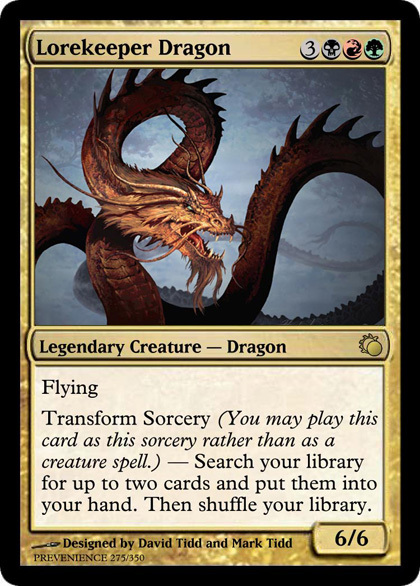 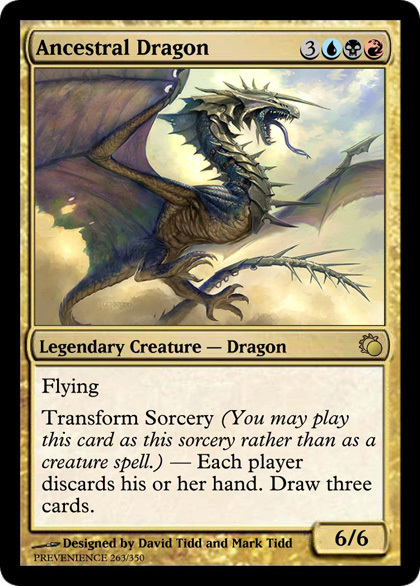 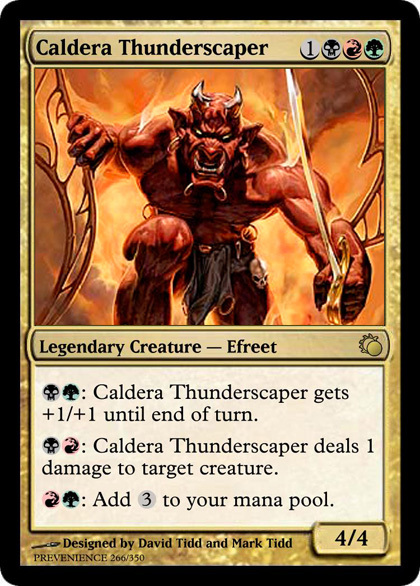 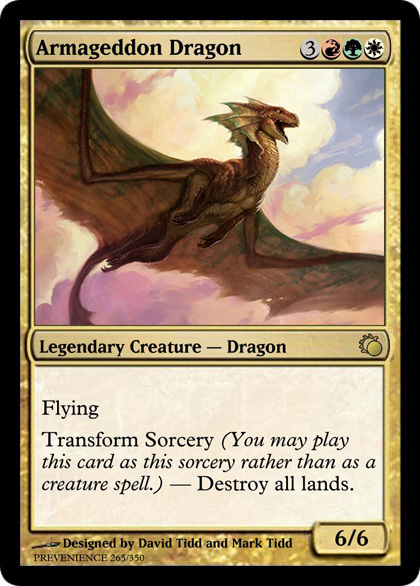 Caldera Thunderscaper Legendary Creature — Efreet : Caldera Thunderscaper gets +1/+1 until end of turn. 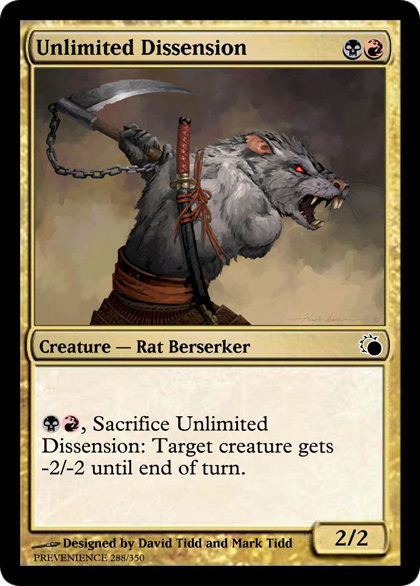 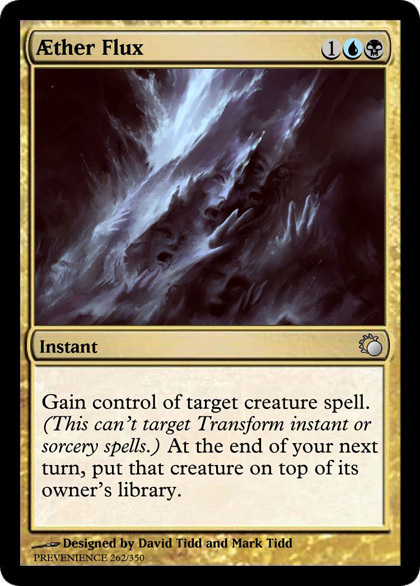 : Caldera Thunderscaper deals 1 damage to target creature. 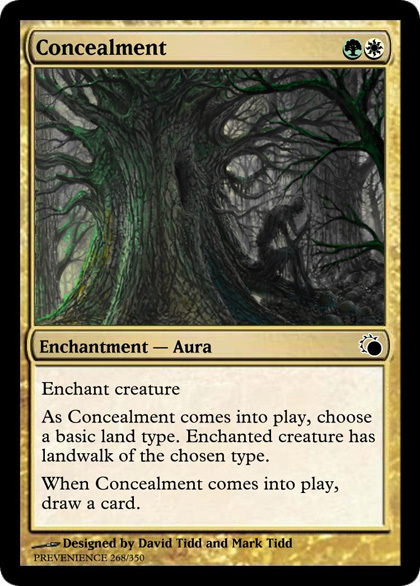 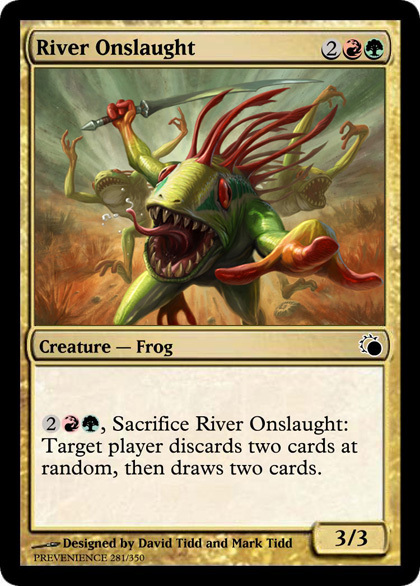 As Concealment comes into play, choose a basic land type. 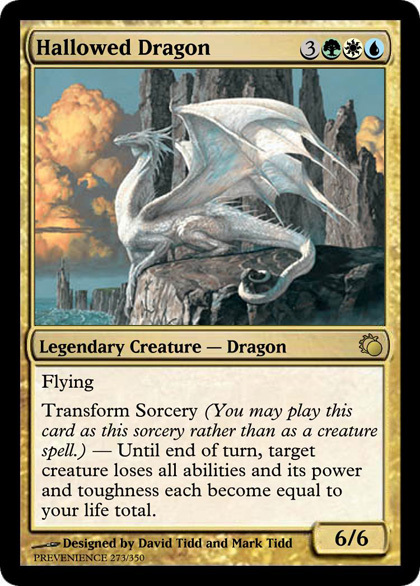 Enchanted creature has landwalk of the chosen type. 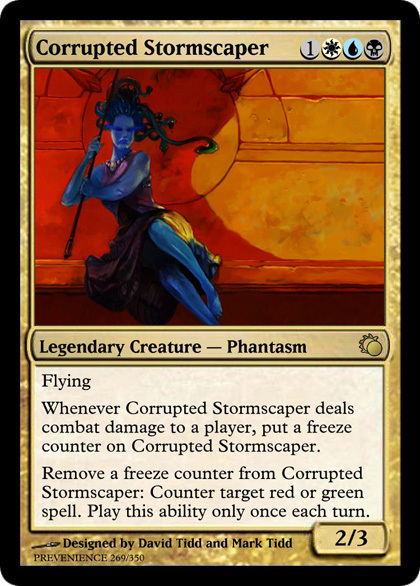 Whenever Corrupted Stormscaper deals combat damage to a player, put a freeze counter on Corrupted Stormscaper. 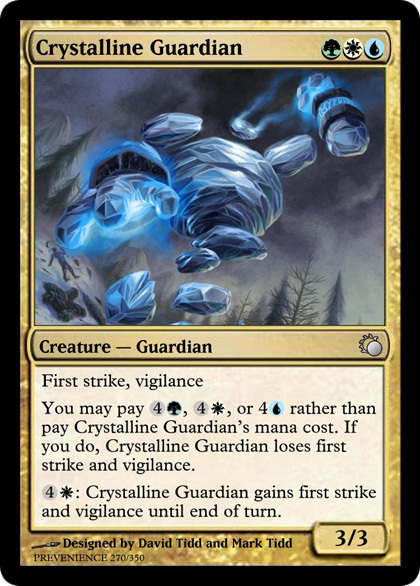 You may pay , , or 4 rather than pay Crystalline Guardian’s mana cost. 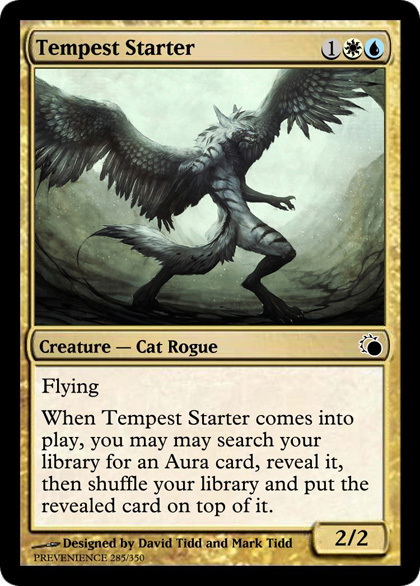 If you do, Crystalline Guardian loses first strike and vigilance. 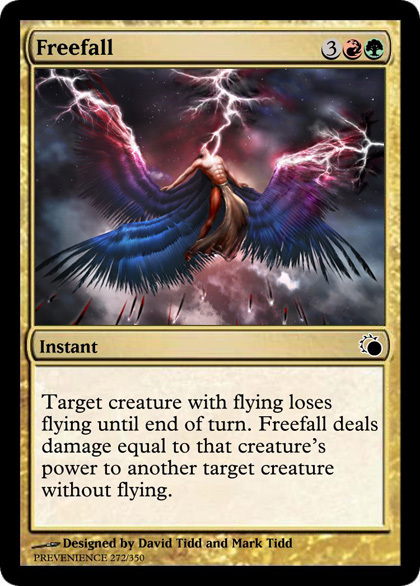 Enchanted creature gets +1/+0 and has flying and first strike. 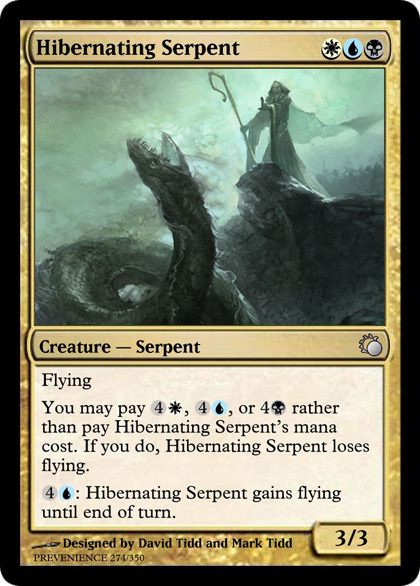 You may pay , , or 4 rather than pay Hibernating Serpent’s mana cost. 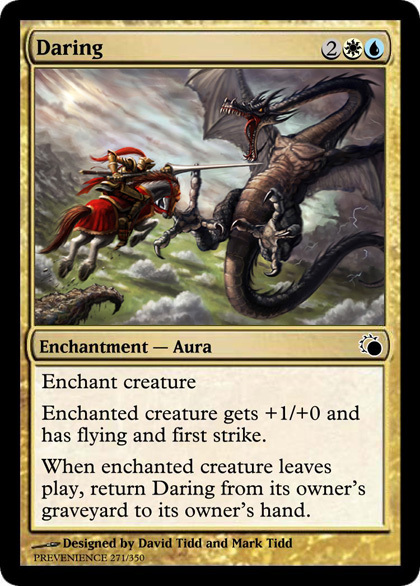 If you do, Hibernating Serpent loses flying. 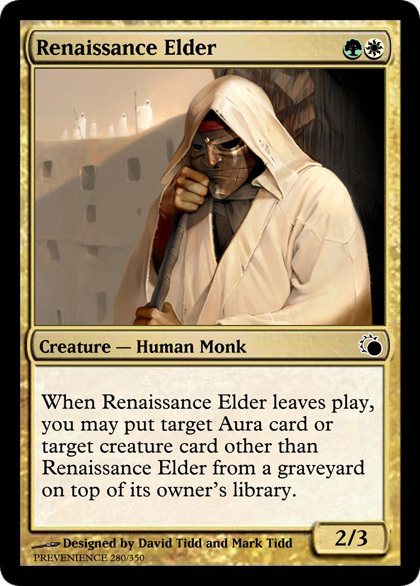 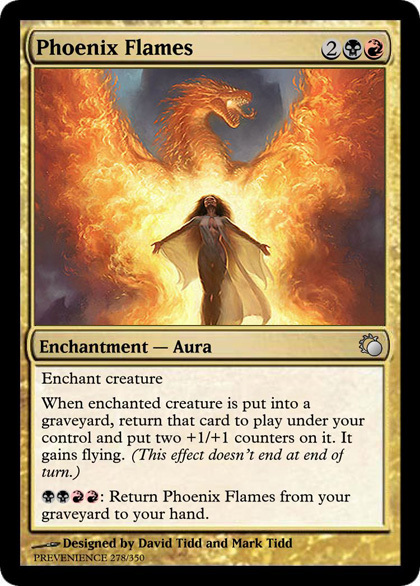 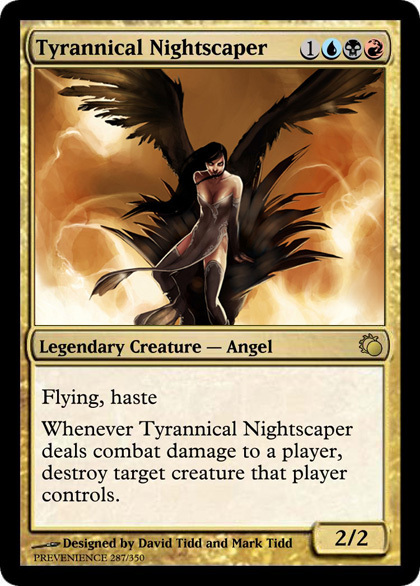 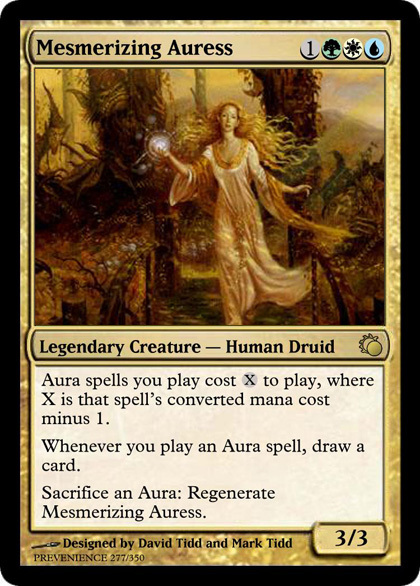 Mesmerizing Auress Legendary Creature — Human Druid Aura spells you play cost to play, where X is that spell’s converted mana cost minus 1. 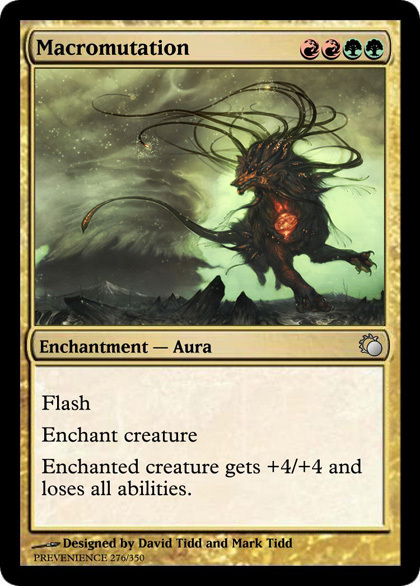 Whenever you play an Aura spell, draw a card. 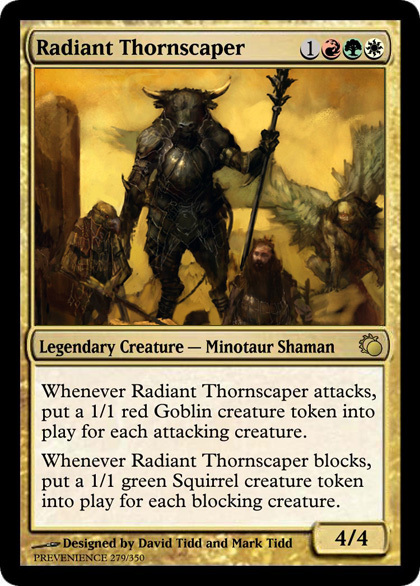 Radiant Thornscaper Legendary Creature — Minotaur Shaman Whenever Radiant Thornscaper attacks, put a 1/1 red Goblin creature token into play for each attacking creature. 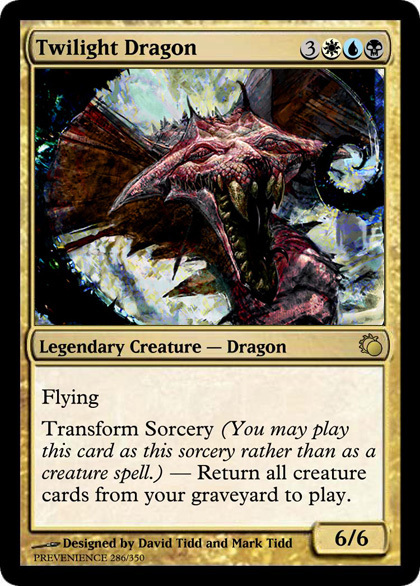 You may pay , , or 4 rather than pay Spined Hydra’s mana cost. 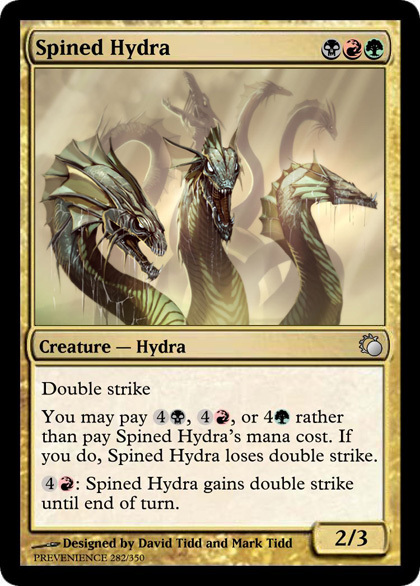 If you do, Spined Hydra loses double strike. 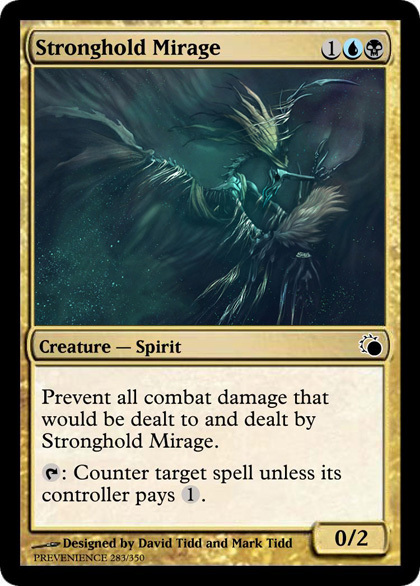 Stronghold Mirage Creature — Spirit Prevent all combat damage that would be dealt to and dealt by Stronghold Mirage. 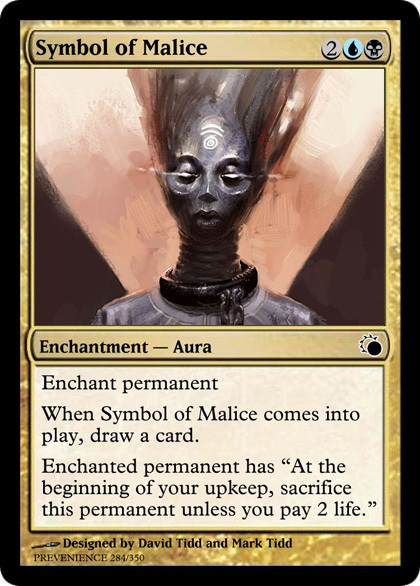 When Symbol of Malice comes into play, draw a card. 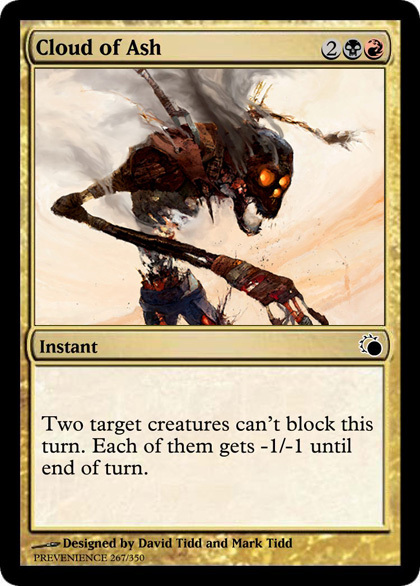 You may pay , , or 4 rather than pay Victual Troll’s mana cost. 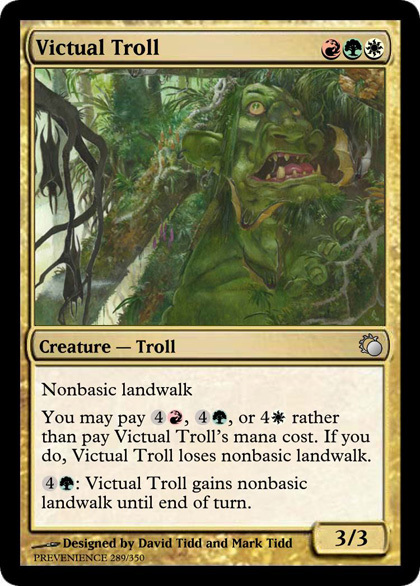 If you do, Victual Troll loses nonbasic landwalk. 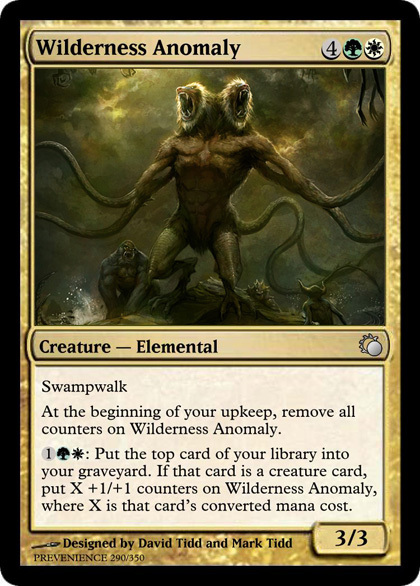 At the beginning of your upkeep, remove all counters on Wilderness Anomaly.